President Trump is once again displaying his massive capacity for empathy and care that he’s displayed time and again over this last year. 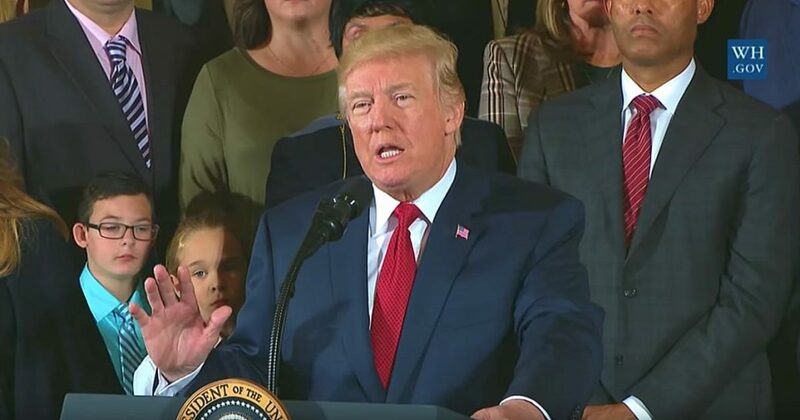 This past week the President spoke passionately, from the heart, about the ongoing opioid crisis in America. He refused to mince words, and described the pain and anguish that opioids have brought to our homes. He also promised to do everything in his power to bring an end to the crisis, and he declared war against the plague of opioids in America. As you all know from personal experience, families, communities, and citizens across our country are currently dealing with the worst drug crisis in American history and even, if you really think about it, world history. This is all throughout the world. The fact is this is a worldwide problem.